April at Open Eye: A daring new work by Michael Sommers, Catalyst Arts, Kurt Hunter, and more! April comes in like a lion at Open Eye! Thank you to everyone who came out to see CONSTANCE IN THE DARKNESS: A MUSICAL IN MINIATURE. After a very successful (and long!) run, we’re jumping into a month of exciting new work—all running for one weekend only! Don’t miss a new experimental piece by Michael Sommers, interdisciplinary work presented by Catalyst Arts, and a quirky puppet show for kids by Kurt Hunter! Visit openeyetheatre.org for more information and tickets. ALFRED AND ME. WHAT, ME WORRY? Open Eye co-founder Michael Sommers’ new work is inspired by the life and literature of Alfred Jarry. The French symbolist writer’s most famous character, UBU, provoked hilarity, scandal, and outrage with his grotesque trampling over cultural rules, norms, and conventions. 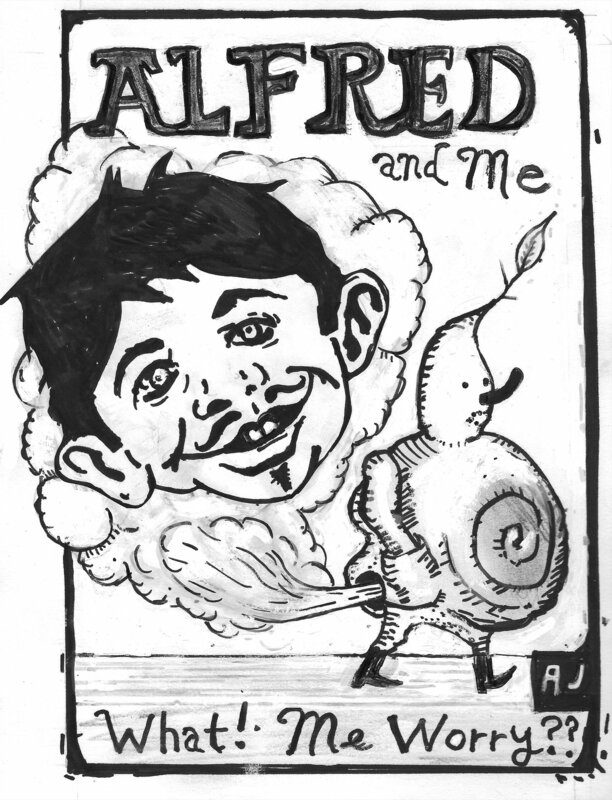 ALFRED AND MEdiscovers Alfred Jarry on his death bed, when his creation UBU pays him a last visit to administer Alfred’s final hallucination. This FUSEBOX residency performance is offered for free, but we ask you to make a donation to support this exciting program as Open Eye invests in artists for the development phase of new work. Reservations required. ONLY 40 tickets per show! 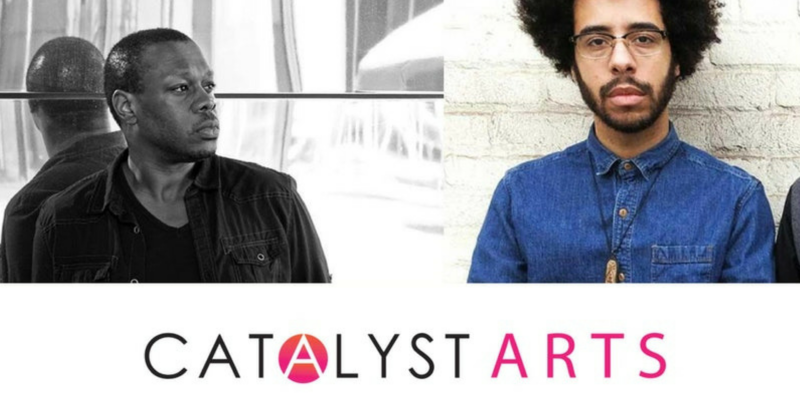 Curated by the Catalyst Arts team, this popular artist-centered, multidisciplinary performance series provides a nurturing ground for developing ideas, innovative approaches, and artistic collaboration. Joe Horton is a Minneapolis based rapper and interdisciplinary artist known for fronting experimental rap acts No Bird Sing and Mixed Blood Majority. An avid improviser, Horton has shared the stage with many notable jazz, classical, and electronic artists, developing a reputation as an explosive, versatile performer. Horton and collaborator DeVon Gray (dVrg) will play an instrumental set of synthesizer and electronics, inspired by mid-century minimal/ambient artists. 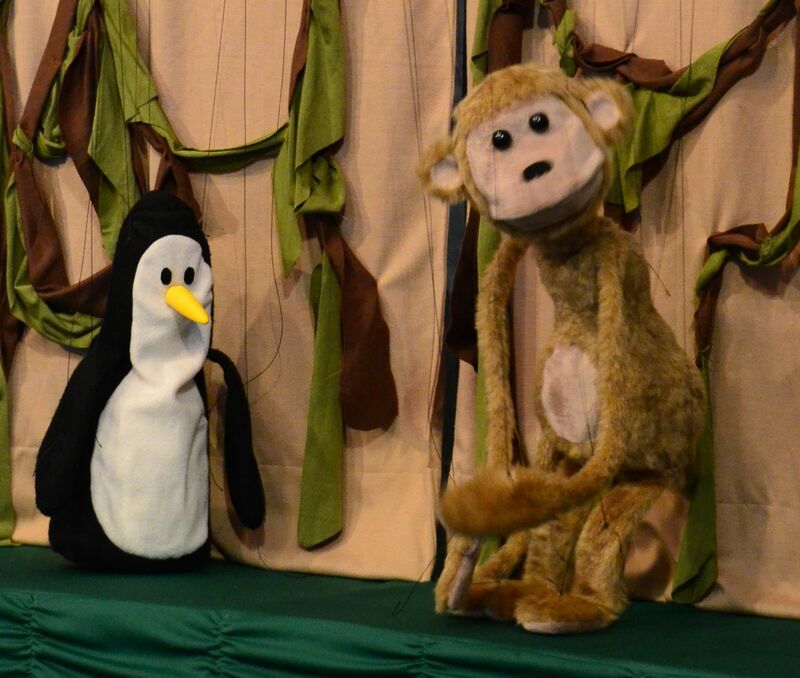 A tale of a penguin scientist, an artistic monkey, and a sea monster! PENGUIN IN MY POCKET tells the tale of a penguin scientist who crash lands in the jungle when her experimental jetpack fails, and how she works with an artistic monkey to find her way home. Created and performed by puppeteer and engineer Kurt Hunter of The Hunter Marionettes, the show highlights the importance of imagination in both art and science. Featuring marionettes, rod puppets, audience member puppeteers and live concertina music, PENGUIN IN MY POCKET will delight kids of all ages! Now is your chance to host an Open Eye puppet show in your own backyard! 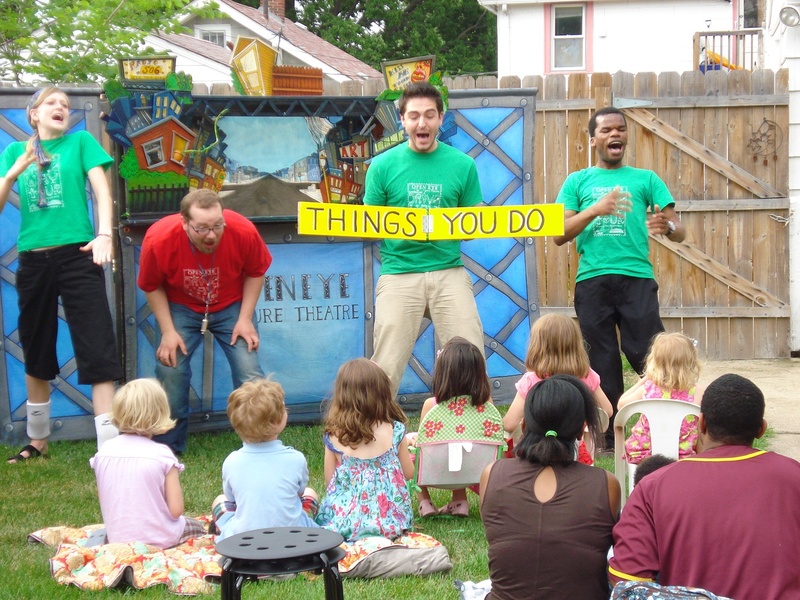 Our award-winning Driveway Tour will be roving the Twin Cities with this all-ages outdoor puppet show sure to inspire and delight the young and young-at-heart. Be one of the stops on our tour! About this year’s show: It’s Little Grandpa’s 100th birthday and everyone was too busy to remember…but not for long! With the help of her animal friends, an amazing cake recipe, and a few sneaky tricks, his granddaughter Zadie will bring the whole neighborhood together for the biggest party of the summer! 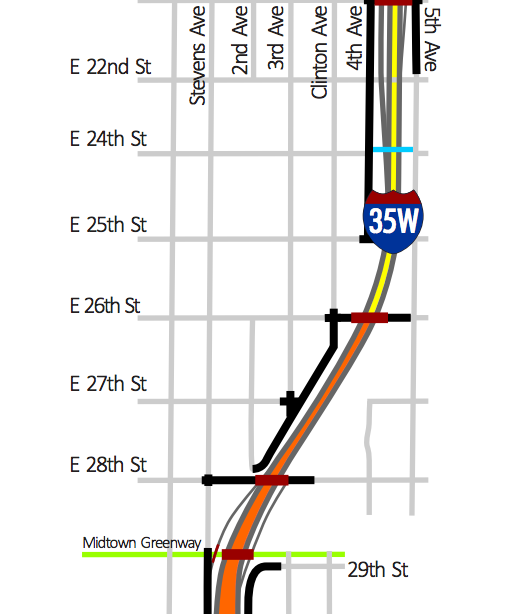 Please be aware that due to construction on 35W and surrounding areas, you may not be able to access Open Eye via your normal routes. We recommend using a map app and following detour routes when traveling to our theatre. Please allow for extra time to get to Open Eye. Visit the Department of Transportation website for updates about street closures.